1.One 40ft container for loding one set machine with manual decoiler. 2.All components fixed by steel wire with container. 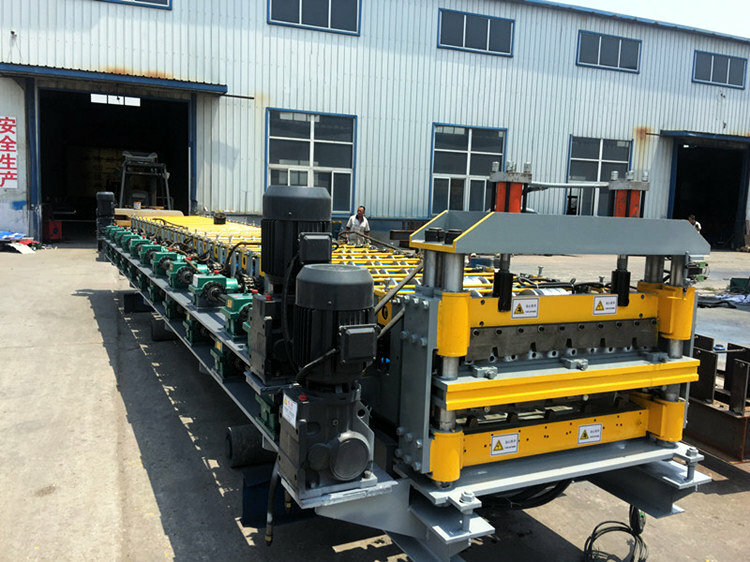 Double layer ibr roof sheet roll forming machine can produce two types of metal panels.Such as glazed tile sheet , single color sheet ,corrugated tile ,round wave sheet and others .you can choose any two of them.Thus, it can save space and raise productivity. 3. Good performance and low production cost. 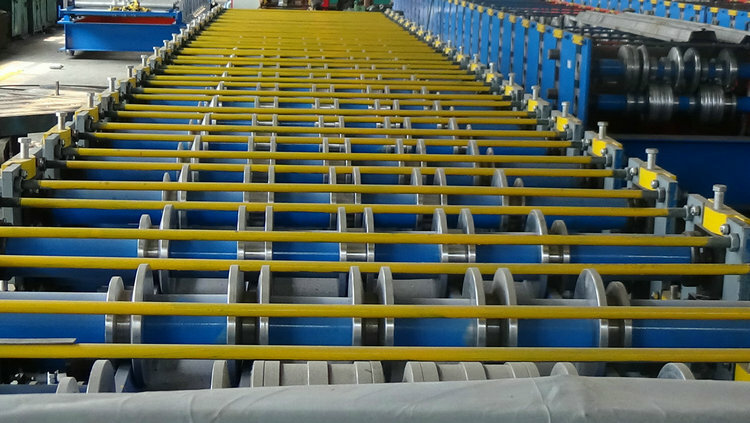 What is the advantage of double layer ibr roof sheet roll forming machine? 2.the surface of the final product is very smooth and beautiful without any scratch on the surface. 45# steel, surface hard chromium plating. 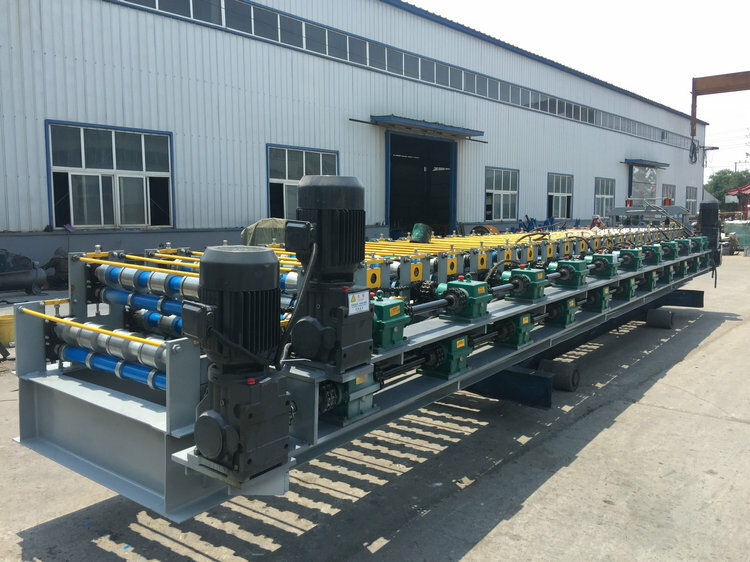 Cangzhou zhongtuo roll forming machinery co., ltd as a manufacturer since 1996, we are specialized in manufacturing color steel forming machine, light keel machine, c&z purline machine, glazed tile forming machine, welded tube mill, steel structural floor panel roll forming machine and so on. We can provide you one station, non-stop service. Our machines have been exported to 90 countries, such as Canada, South Korea, Russia, Holland, Sri Lanka, Malaysia, India, Brazil as so on. Our company insists on the service aim: Quality First, Credit First. We believe that we can make the future cooperation and achieve win-win. Why choose to cooperate with us ? 1. We are professional manufacturer, we can produce best quality machine for you. 2. We have strong design ability, we can design machine as your requirements. 3. We have much experience for installation and training experience overseas. 4. 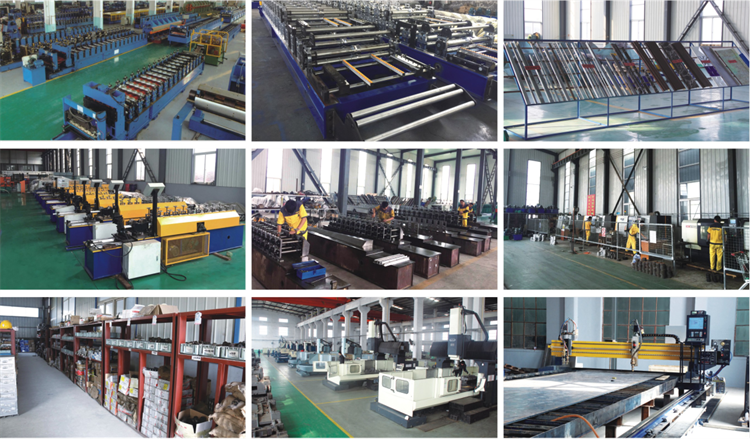 We have successfully exported our machines to more than 90 countries. 5. We provide one year machine warrant and whole life technical support. 1. Do you have after sales support? Yes, we are happy to give advice and we also have skilled technicians available across the world. We need your machines running in order to keep your business running. 2. How to visit your company? a.Fly to Beijing airport: By high speed train From Beijing Nan to Cangzhou Xi (1 hour), then we can pick up you. b.Fly to Shanghai Airport: By high speed train From Shanghai Hongqiao to Cangzhou Xi(4.5 hours), then we can pick up you. 3. What can you do if the machine broken? 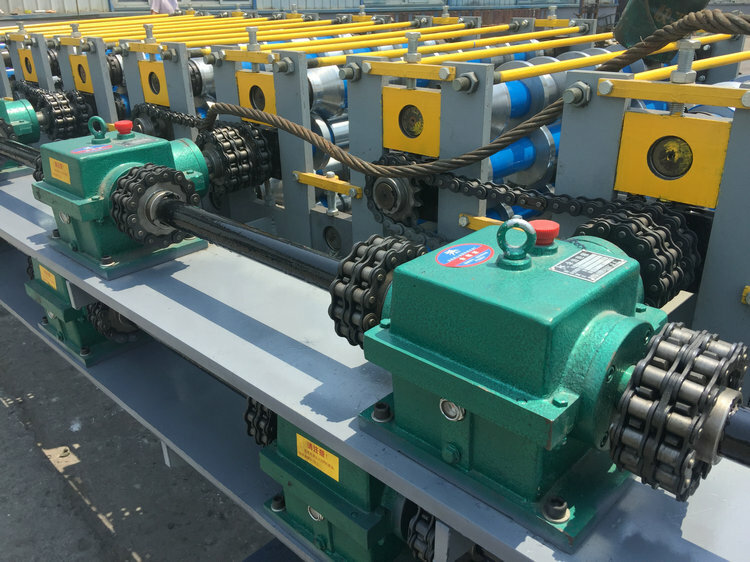 Our machine's warranty period is 12months, if the broken parts can't repair, we can send the new parts replace the broken parts freell, but you need pay the express cost yourself. if after warranty period, we can through negotiation to solve the problems,a nd we supply the technical support for the whole life of the equipment. 4. Can you be responsible for transport? Yes, please tell me the destination port. We can help you to do the shipping if you need. we have rich experience in transport. We can give you the cheaper freight and send the machien to your country port. 5. Why your price is higher than others? 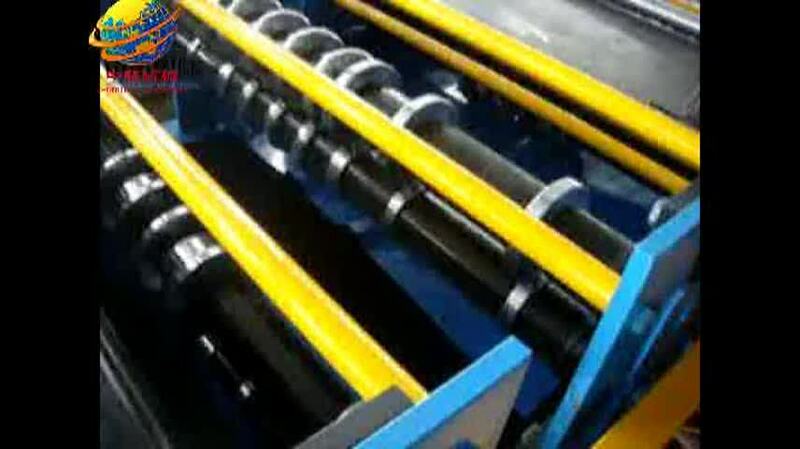 As we persist on that each factory should put quality at the first place. We spend time and money on developing How to make machines much more automatic, accurate and high quality. We can make sure thatour machine could use more than 20 years without any problem. We can provide 2 years free qualityassurance. 6. 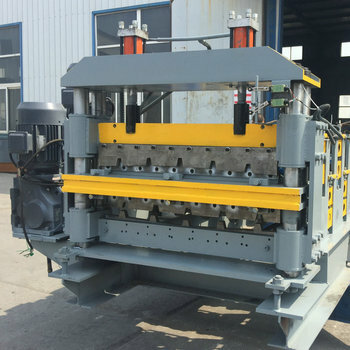 How long the machine could be made? Normally speaking, all the machines could be made without 45 working days. But if you need machines in a hurry, we can make it for you less than a month.